“HB2’s Impact on Private and Public Employers: What You Haven’t Heard in the News,” an Insights article by Kara Gansmann was published in the April 15 online edition of the Greater Wilmington Business Journal. The article examines the impact that HB2’s passage has for private and public employers throughout the state of North Carolina. 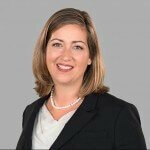 Kara is an attorney in the Wilmington office of Cranfill Sumner & Hartzog LLP.